Barcelona have an issue to address in midfield this summer, and reports claim that Paris Saint-Germain’s Adrien Rabiot could emerge as the solution. 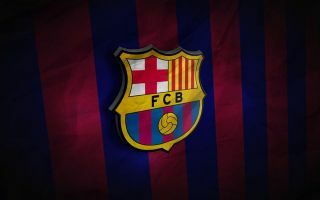 The Catalan giants have seen both Andres Iniesta and Paulinho leave this summer, leaving Ernesto Valverde light in midfield in their bid to compete on various fronts next season. In turn, it would be a surprise not to see them act in the transfer market this summer to bring in reinforcements, and it’s claimed that they have reportedly been handed a major breakthrough in their pursuit of a top target. As reported by Mundo Deportivo, via the paper edition of Le Parisien, not only has Rabiot been given a €40m price-tag, but it’s claimed that PSG boss Thomas Tuchel has given his consent to the club selling the French international. The 23-year-old would arguably be a perfect fit at the Nou Camp, as he has the technical quality, vision and composure to play the Barcelona way and be an effective option in the middle of the pitch. With that in mind, it’s arguably no real surprise that Barca are said to be interested, and so now it appears as though it comes down to their willingness to reach an agreement with PSG on a transfer fee. Rabiot joined PSG in 2010 and after coming through the youth ranks, he made his breakthrough for the senior side in 2012 before going on to make 200 appearances for the club and winning an impressive haul of domestic trophies including four league titles. Despite his prominent role under previous coaches, it appears as though he isn’t part of Tuchel’s plans and so time will tell if he does indeed bid farewell to the reigning Ligue 1 champions this summer.